Whew, this week has been crazy busy. 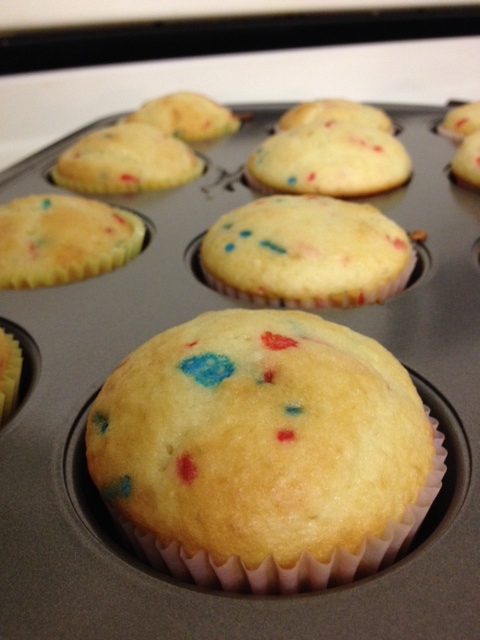 Although this is a bit late, I just HAD to blog about the funfetti cupcakes I made for the 4th of July. I know funfetti cupcakes may seem simple because they come out of a box and it’s just cake — but you honestly can’t beat them. You bring cupcakes, people like you. But if you bring funfetti cupcakes, you’re the life of the party. There’s just something about eating a cupcake with colorful sprinkles in it that just makes you instantly happier with life. The great thing about the box I bought was that it can make almost two dozen cupcakes! For like $1.50, you really can’t beat that. (Especially since you can buy one cupcake from a cupcake store for $3). My cupcakes turned out pretty well, although I did forget to buy frosting. So remember, when you’re buying a boxed cake mix, frosting might be key. But since I don’t actually like frosting on cupcakes, it didn’t really matter too much. Hope you all had a lovely 4th! 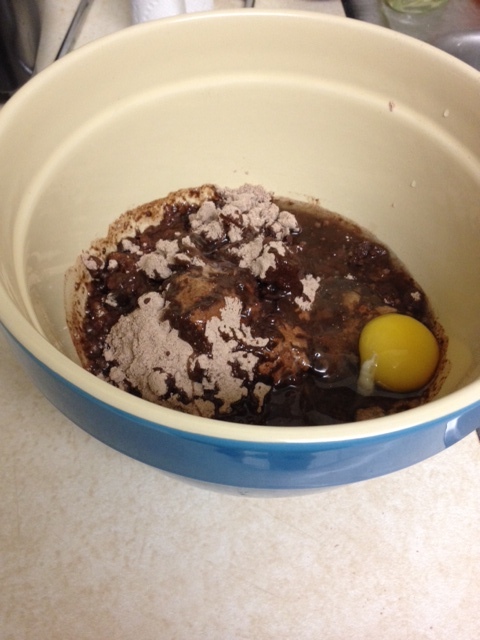 Good news – even I can’t mess up brownies from a mix. 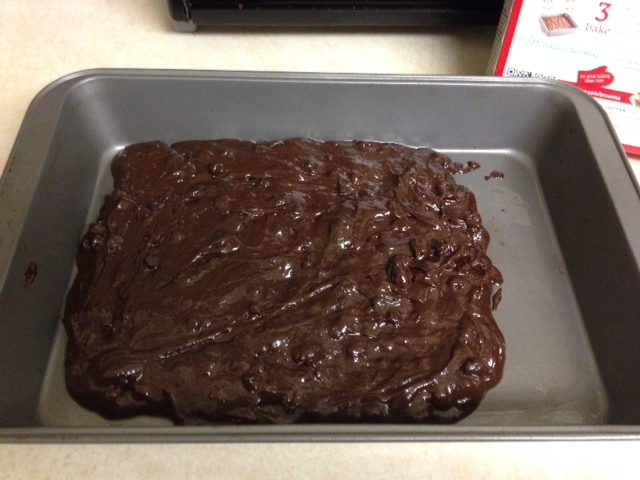 I had bought a box of triple chunk brownie mix because I’ve never made brownies from a box on my own. 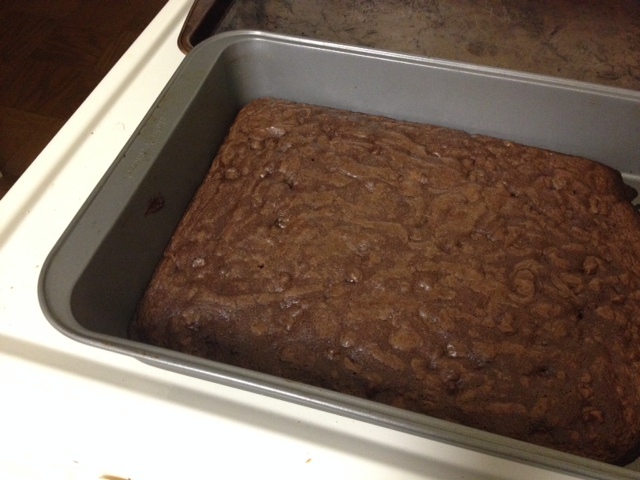 And these brownies looked too delicious to pass up! 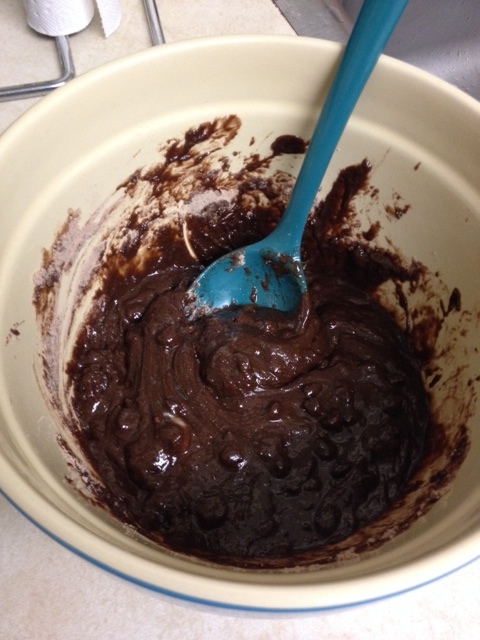 The mix only required me adding water, vegetable oil and an egg. While it turns out I probably should have used a smaller pan to make the brownies, these tasted just as delicious as they looked on the packaging!